I'm about half way through the month with my Thirty day challenge. Today I am thankful for whoever in cyber space came up with the idea of blogging,tweeting, face booking or whatever it is you do to say your thankful. Its really opened my eyes and made me appreciate the world around me in ways I never did before. 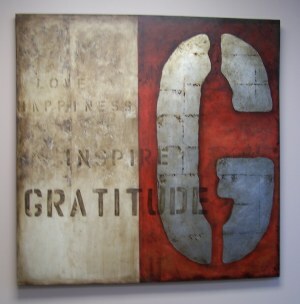 Everyday life now reminds me to have an attitude of gratitude. If you want to read more about having that type of attitude read here. I am loving your thankful posts. I might do this sometime cause its making me think- I love it!